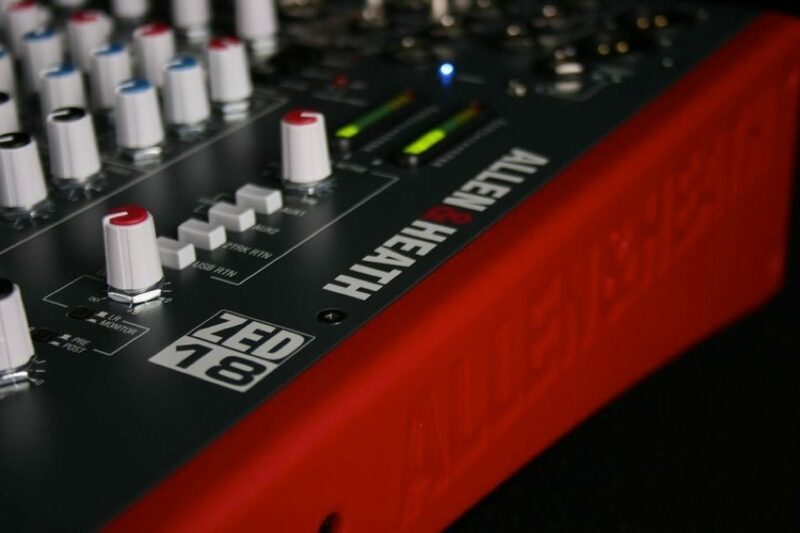 The Allen and Heath ZED-18 has an incredibly advanced feature-set for a mixer at this level -- it gives musicians, venues and hire companies access to 10 full mono channels and 4 stereo channels in a compact, rack mountable format. Configurable USB audio in/out makes it easy to capture stereo recordings. 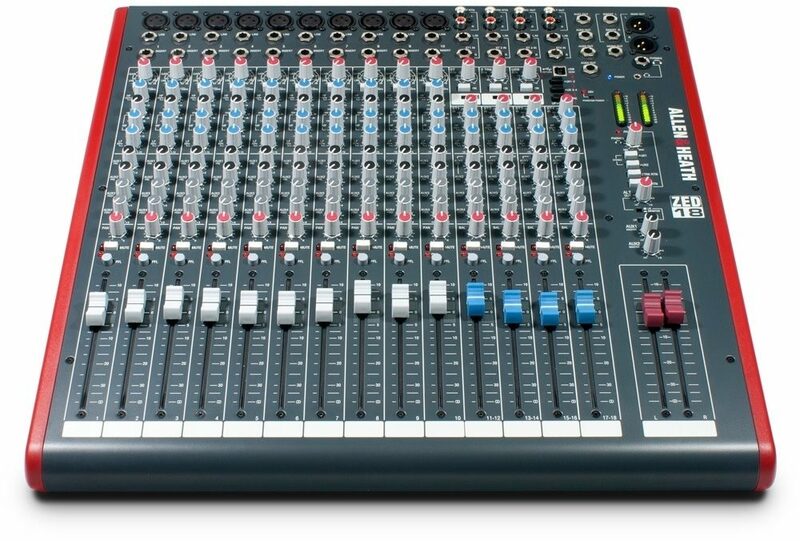 Getting audio to and from a computer easily is now a common requirement for live sound and music production. The way this has been implemented on ZED is super-flexible and super-easy! No longer do you need to fiddle around the back of your PC to get to the soundcard inputs, only to find that the levels are all wrong and noisy. Just plug in a USB lead to your ZED, select the USB routing on the mixer and the device on your computer and that's it! CD quality audio to and from your PC or Mac. Based on the proven pre-amps from the hugely successful PA series, ZED-18 has DuoPre pre-amps, which use a two stage design, with carefully controlled amounts of gain in each stage. When amplifying the signal from the XLR input, the gain range is huge - 69dB of range to be exact - and is very evenly distributed around the gain control, meaning better control of signal level. Most of the gain comes from the first stage, so unwanted noise is kept to a minimum. Line level signals are simply plugged into the second stage of the pre-amp by using the line input jack socket, which has the great advantage of less noise when using the line input and also matching to a higher input impedance. Allen & Heath has included Cakewalk SONAR X1 LE with ZED-18 so you can immediately start to use it to create your own music - just add a PC and it couldn't be easier to get going. 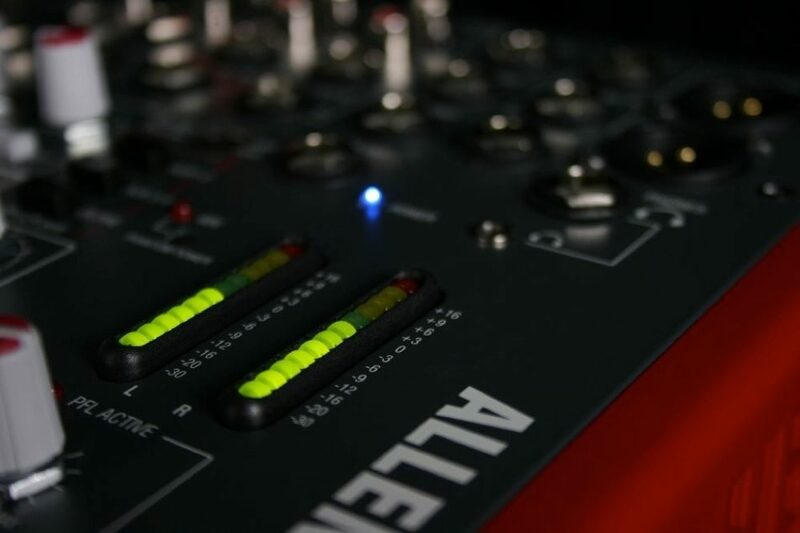 You'll be able to record from your ZED mixer, create tracks and arrange songs, then play back to ZED via the USB port. 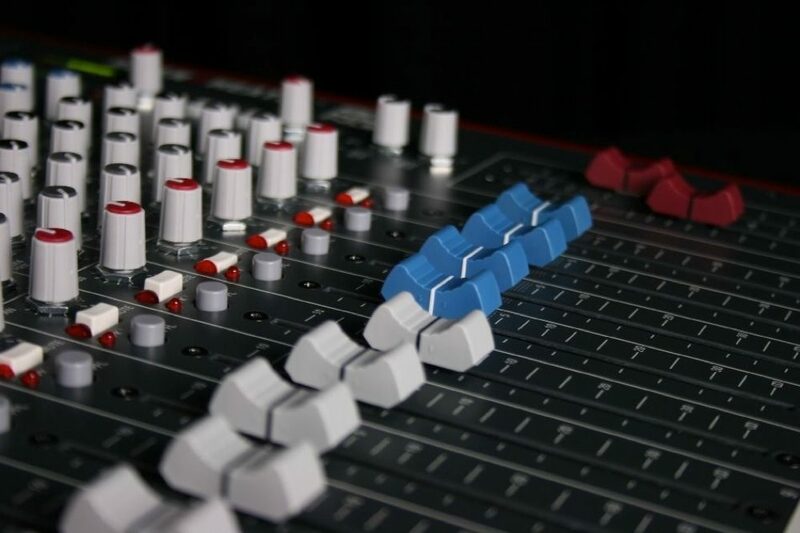 You can use SONAR X1 LE and your ZED mixer together in many ways - e.g. 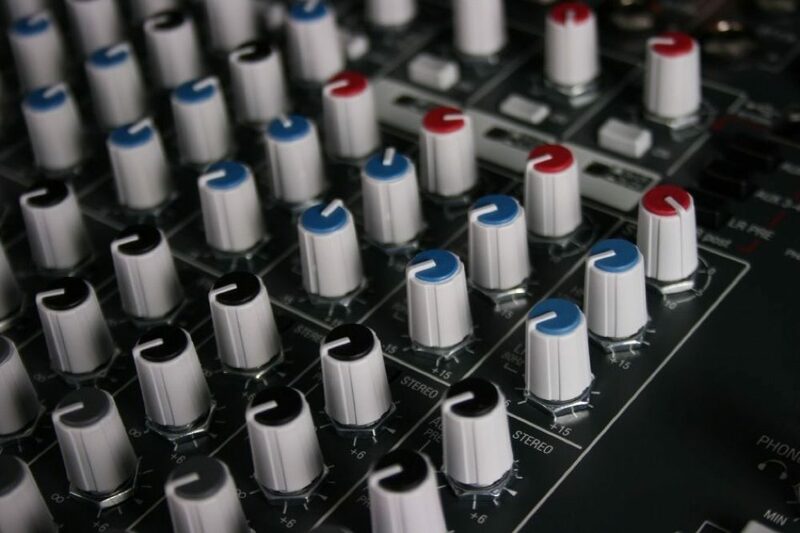 straightforward recording of a stereo mix, recording tracks individually to build up a song, or using the USB port and software as an effects loop. - Mic in to Mix L/R Out, 30dB gain: +0.5/-1dB 20Hz to 20kHz. Overall: This is the first time I have had my hands on A and H products and I have to say, very nice. It is well built, the pots feel good, connectors are high quality units with good hold. Sound is nice and transparent. I use an off board preamp so my mics go right into line in on the channels, however I did test out the full potential of the pre's and I say very nice. Lot of gain, little to no noise. Board is well designed, easy for me to see even though there is a lot packed on it in a small space, for what it does. I have not tried the USB part of it, that was an option that I did not need so I can not say as to it's usability. I am using 2 Blue Bluebirds and a Woodpecker with ART preamp, leveler, and eq. High end, transparent, natural sound does not cost a fortune to achieve if you know the best place for your pieces. 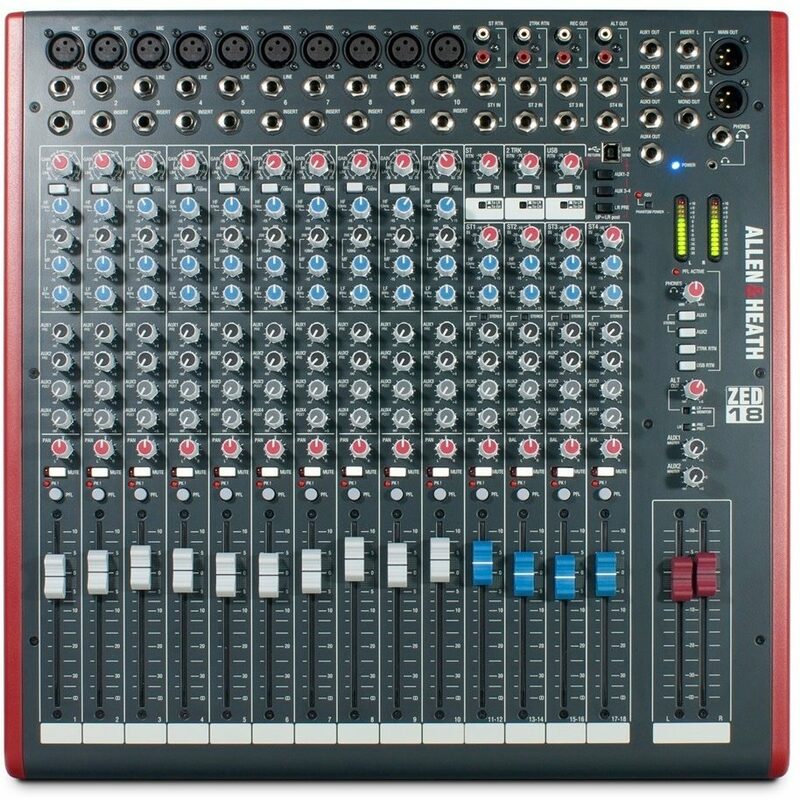 I recommend A and H and if I upgrade a mixer in the future, it will be them. 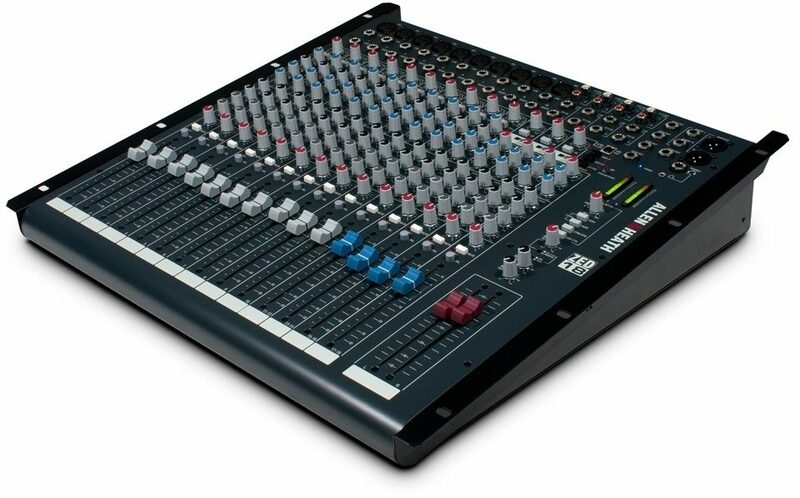 "Allen & Heath ZED 18"
Overall: The Allen & Heath ZED 18 is an incredible board if you're doing mid/small sized clubs. It's got 10 XLR input channels, which suits my little 4 piece band pretty well. To keep it affordable A&H didn't include any onboard effects, which is okay with me since I find onboard effects to be a little "lacking" sometimes. Setup on this thing was a breeze! I took it out of the box, mounted it into my rack, connected a Lexicon MX200...ran my QSC K12's to the board and LIFTOFF! Just doing a few "check check's" made me realize that this board was going to work out phenomenally. I didn't even need an actual EQ, the preamps were so crystal clear, combined with sweepable mids and some 100mm faders, I had a good vocal mix right out of the box. I've yet to hook it up for home studio use, but I'm sure I will get to that sometime, since it comes with a USB hookup and the Cakewalk Sonar software...it'll be something to tinker with in the future. 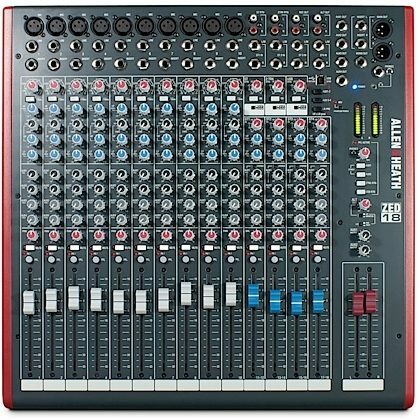 If you're looking for a really simple setup, with great quality and clarity, I'd say look no farther than the Allen & Heath ZED 18.